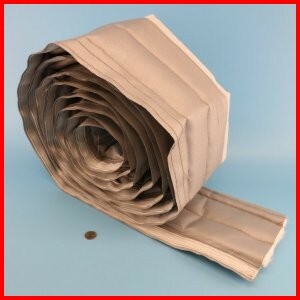 The insulation layer is can be either 1/4", 1/2" or 3/4" thick fiberglass. The 3/4" thickness is a combination of 1/4" and 1/2" insulation layered and stitched. Other custom thickness, size and length sections available by quotation.